The European Command of the United States Army (EUCOM) completed its four-week air defense exercise, including the deployment of the THAAD missile defense system into Israel for the first time. 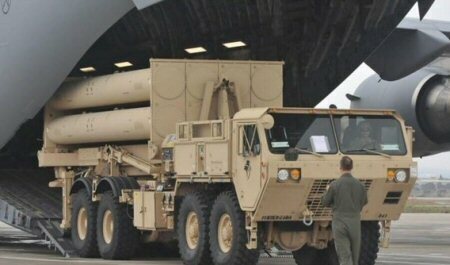 The Terminal High Altitude Area Defense (THAAD) air defense system was deployed in Israel on March 4th 2019, following extensive operational preparations, along with some 250 US crew members and soldiers. During the exercise of the THAAD system, which is considered one of the most advanced missile defense systems in the world, the two militaries practiced a variety of scenarios, Ma’an News Agency reports. Although Israel and the US signed an agreement for US to assist Israel with missile defense in times of war, the statement also stressed that the drills were part of scheduled exercises and were not related to recent tensions along Gaza borders. This was the first time that the THAAD system was deployed in Israel, however, one of the X-Band radar arrays connected to THAAD has been stationed in Israel for over a decade, which provides Israeli with an additional early warning system against an incoming ballistic missile attack. THAAD is designed to protect against hostile incoming threats such as tactical and theater ballistic missiles at ranges of 200 km. and altitudes of up to 150 km., intercepting exo-atmospheric and endo-atmospheric missiles.